This is an exterior view of the District No. 1 school building in Nicodemus, Graham County, Kansas. This schoolhouse, which forms part of the National Parks Service site, was built in 1918. It was built on the site of the first school in Graham County, which had been constructed in 1887 but was later destroyed by fire. The school closed in the 1950s. 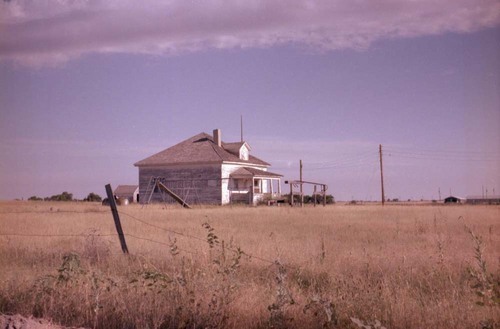 Nicodemus was an Exoduster settlement in Kansas, established in 1877.